Casa Verde is a home away from home in historic Santa Marta, Colombia. Originally a Republican house built in the 1920′s, it has been restored and refurbished to host a nine room hotel, right in the heart of Santa Marta. 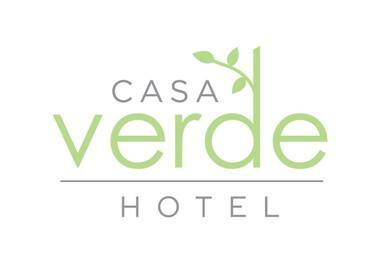 It is truly the home of the guests as you will always be welcomed with a smile and the team at Casa Verde provides exceptional service to meet all of your needs. The hotel is situated around a tranquil, shaded courtyard that invites guests to lounge on the hammocks, or take a dip in the pool that provides an essential escape from the Santa Marta heat. Casa Verde is located in the heart of the historic district in Santa Marta, amongst wonderful restaurants and nightlife and just minutes away from Santa Marta’s beautiful parks, cathedrals, and the water. Santa Marta, also known as the “Pearl of the Caribbean”, is surrounded by beautiful beaches, and is one of the main eco-tourist and cultural destinations in Colombia. Thousands of visitors arrive each year to explore the natural beauty of the Tayrona National Park or hike to the “Ciudad Perdida” (Lost City) a renowned archeological site in the Sierra Nevada de Santa Marta Mountains. The Casa Verde rooms are unique and have been designed to capture the simple and welcoming spirit of Santa Marta. Our basic accommodation package has rooms with air conditioning, private bathroom with hot water, flat screen TV with cable, a security box, WI FI and breakfast a la carte. Santa Marta and its surroundings are fascinating and that is why from Casa Verde hotel we want to offer you something special. Not only the experience of sleeping in a great hotel but also the possibility of knowing more about our region. In our packages we will offer you the possibility of combining a stay in Casa Verde hotel with activities such as tours of the area, accommodation in our beach hut, private guidance in the city and transportation. For the Casa Verde Hotel Team it is a pleasure to inform you about the tourist attractions of the region and the city. We know that it is our city and its surroundings that make this a special destination. That's why we want to tell you a little more about the places and activities that you can visit and perform during your stay in Santa Marta. Our privileged location on the Caribbean Sea and in the foothills of the highest coastal mountain in the world gives us the opportunity to explore four national parks, archaeological ruins of ancestral cultures, beaches and bays with unparalleled beauty, crystalline rivers and one of the areas with the greatest biodiversity in the world! Casa Verde hotel is built in a 1920's building, typical of the banana era in the northern zone of Colombia. Its high ceilings, its republican façade and an internal patio generate freshness and tranquility. Santa Marta city it´s famous for being one of the oldest in America, is today the epicenter of a new era of progress and transformation. It is a pleasure for us to tell you a little about our history, about big events that changed the course of our city and also about our beloved Casa Verde hotel. ¿ Questions or Comments ?